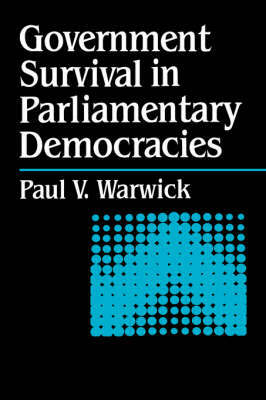 This book describes the results of a quantitative investigation into one of the central questions of political science: what determines how long governments survive in parliamentary democracies? Government survival is important because it constitutes an essential component of the overall functioning of parliamentary democracies; it is also closely associated with the introduction to the discipline of event history analysis, a highly promising statistical methodology. The investigation utilizes this methodology on what is undoubtedly the most comprehensive data set yet assembled on governments, comprising hundreds of variables measured for governments in sixteen West European parliamentary democracies over the entire post-war period to 1989. The results fundamentally challenge the central thread of theorizing on government survival and point to an alternative conceptualization of the relationship among governments, parties and voters.